The yin to your yang….YAMELIA! If you love an unusual design as well as comfort and practicality, then YAMELIA is the right rattan garden furniture set for you! 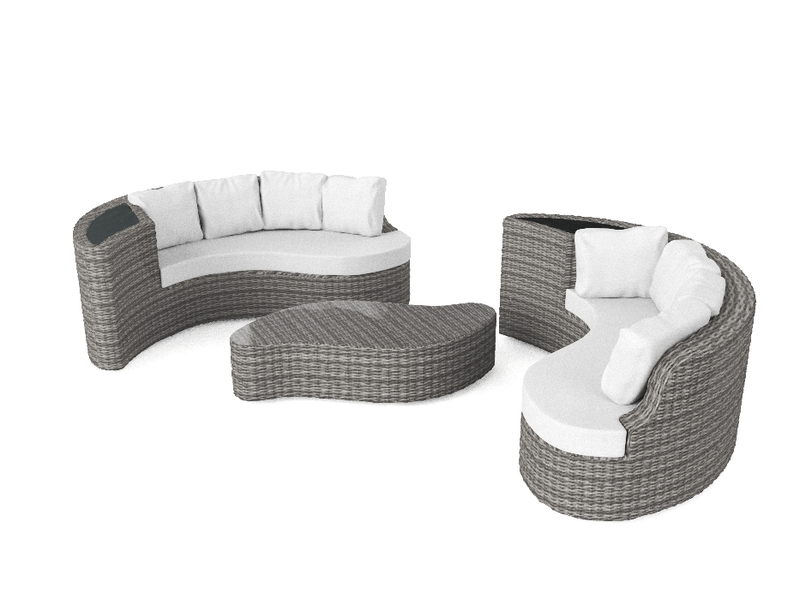 This 3-part set consists of two 2-seaters and a coffee table/ stool. Included in the delivery are a 5mm thick safety glass table top and a 10cm thick cushion. If you push all parts of the set together you have space to lie down and relax and if you push them apart you have a lounge set that seats 4-6 people. What’s not to love! 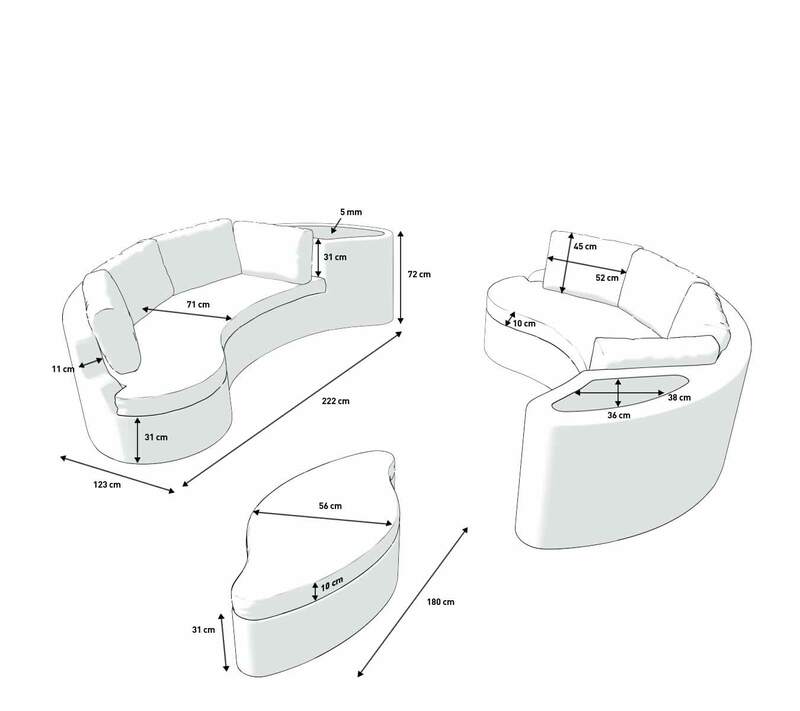 The sofas each have a built in glass surface that are perfect for resting your cocktail or coffee cup on. YAMELIA is easy to care for. The synthetic rattan can be wiped down with a damp cloth. The frame of the set is made from powder-coated aluminium, so you can leave the set outdoors all year round. The synthetic rattan is weather-proof. The cushions are water-resistant and comply with UKFR (UK fire regulations).